Danze Parma Stainless Steel Single Handle Modern Kitchen Faucet with Sprayer: This Danze Parma Cylindrical Modern Kitchen Faucet is built to last. The highest quality standards are used to precision manufacturer a top of the line fixture. Important features of this 100% BRAND NEW Fixture: Complete Item! Everything necessary for installation is included. Stainless Steel 1 Handle Kitchen Faucet w Spray - Single Handle Kitchen Faucet Parma Collection Lever Handle w/ Spray - With the kitchen now becoming an entertainment center, you want your faucet to be nothing short of stunning. You want a style to fit your personality, decor and budget. 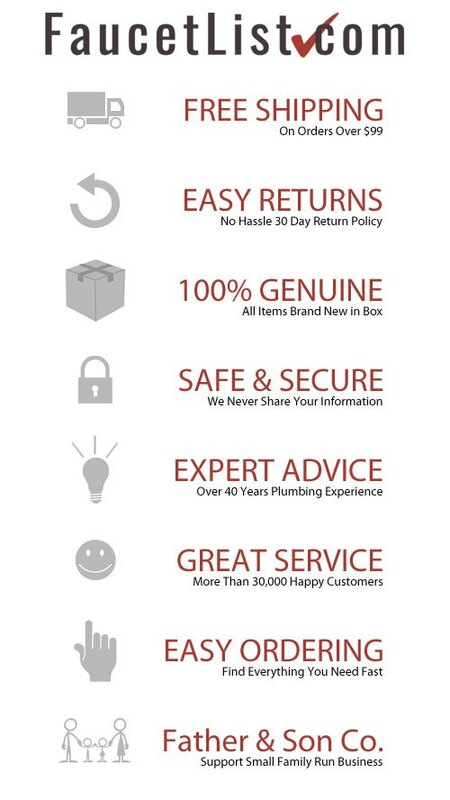 Our Parma single handle kitchen faucet with spray delivers all this and more. - Single handle design for quick and easy water and temperature control - Ceramic Disc Valves provide drip-free shut off for life as well as smooth and easy handle operation. - Stainless Steel premier finish designed to resist fading and tarnishing. - Matching brass spray is included for easy cleanup of pots and pans - ADA compliant handle for universal use - Swivel Spout, Perfect for Large or Double Bowl Sinks! 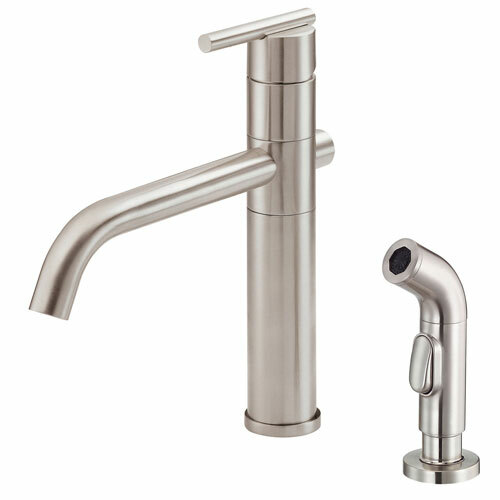 - Single Handle Faucet - Matching Accessories Available - Easy to Install - Installation instructions included. This fixture is manufactured by Danze and is part of their Parma Collection. Ceramic Disc Valves provide drip-free shut off for life as well as smooth and easy handle operation. Swivel Spout, Perfect for Large or Double Bowl Sinks! With the kitchen now becoming an entertainment center, you want your faucet to be nothing short of stunning. You want a style to fit your personality, decor and budget. Our Parma single handle kitchen faucet with spray delivers all this and more.